Most people only think of locksmith services when they lock themselves out of their home or car, but at AAA Locksmith, we offer many other services as well. At Daytona Beach’s AAA Locksmith, we’re a full-service locksmith, and we can continue to take care of your needs even after we have unlocked the door for you. 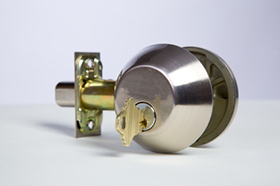 In addition to helping you during a lockout, we can change out your existing locks or install new locks, as needed. You may want to give a spare key to someone you trust or need to replace lost keys. We can also create additional keys for you as part of our 24/7 locksmith services in Florida. At AAA Locksmith, we also offer safe and vault work, and while we specialize in both residential and auto lockouts, we can also take care of your commercial needs. When you’re locked out in the middle of the night, it can be difficult to get help right away. At AAA Locksmith, we always answer the phone – available every day, 24/7 for any lockout or emergency locksmith need in both Volusia and Flagler counties of Florida. Give us a call today for all of your full-service locksmith needs!